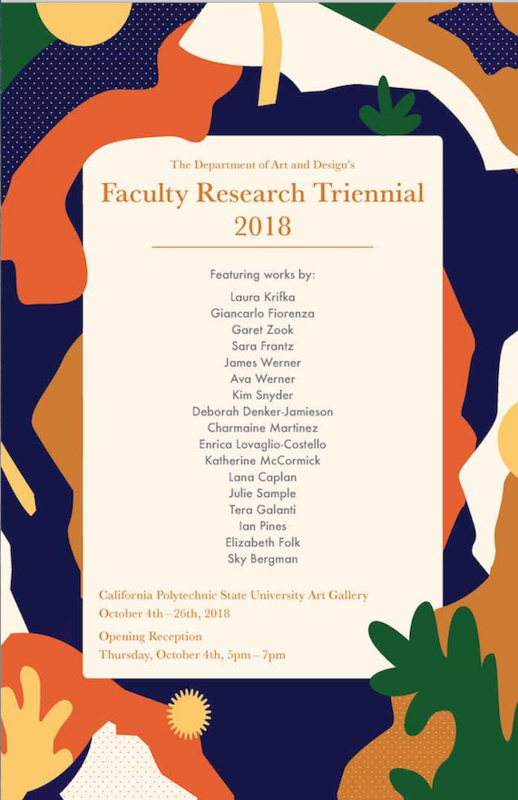 The University Art Gallery will have an opening reception for The Faculty Triennial exhibit Thursday, Oct. 4, from 5 to 7 p.m. The exhibit, running Oct. 4–26, will demonstrate the high caliber of work that can be achieved with time and practice as Cal Poly’s Art and Design faculty showcase the work they create outside the classroom as professional artists. Eighteen professors and lecturers will display pieces in the practices of sculpture, painting, video, photo, digital media and graphic design. The University Art Gallery in the Dexter Building (No. 34) is open Tuesday through Saturday, from 11 a.m. to 4 p.m.